With a wide viewing angle, the SMD LED display has a viewing angle of more than one hundred and ten degrees in the horizontal direction and the same performance in the vertical direction. In many external environments, such a large viewing angle is very advantageous. 2. In terms of light distribution, the blue, red and green LEDs appear to have the same brightness at all angles. This allows the LED display to display its own playback effect better, The viewer can see the best color picture at any viewing angle, unlike other types of LED displays, in the case of angular misalignment, there is a case of color distortion. 3. In terms of light mixing, due to the chip design structure of the Same instrument, the chip body with a very small distance can be mixed in the same bracket cup, which is different from the three LEDs of the ordinary LED in different LEDs. The performance of mixed light is not good. When viewed at close distance, the surface mount LED screen will have a better viewing effect. 4. In terms of contrast, since the structure is three-in-one, the SMD will be small, and the result is that a small area of light is formed, and with a large area of black area, the contrast of the screen display is very high. 5. 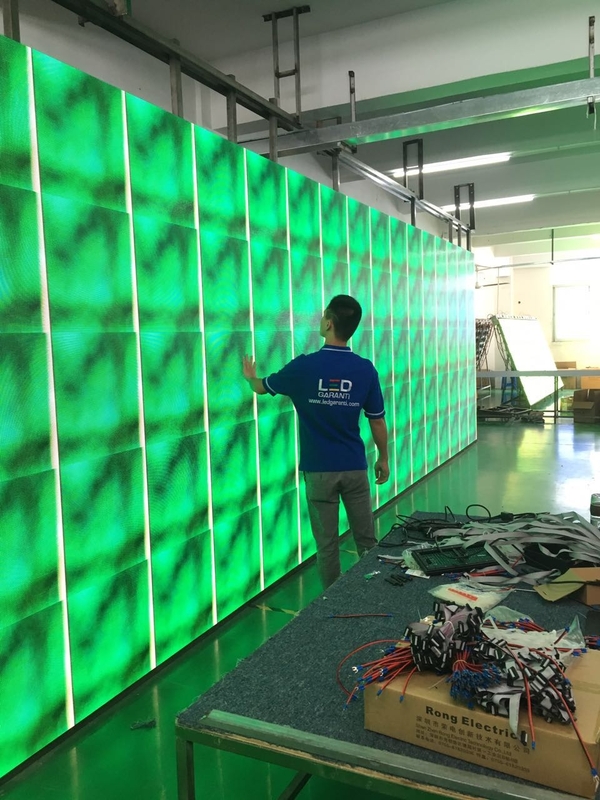 In terms of the product production, the surface mount LED display is highly automated produced, and it can be produced by fully automated equipment, which is highly efficient and cost-effective. 6. From the weight of the LED display body, it is very light, which has a great relationship with the material of the aluminum alloy cabinet. It is not only light in weight, but also very exquisite. After a long time of use, there will be no deformation. Whether it is for the company that rents the product or the user buys it, it has a very high use value. At the same time, there are various shortcomings in this product. For example, its brightness is lower than other products, and its waterproof performance is also worse. However, in terms of cost performance, the multi-faceted performance of this product is excellent, the advantages outweigh the disadvantages, it is still worth buying this product.